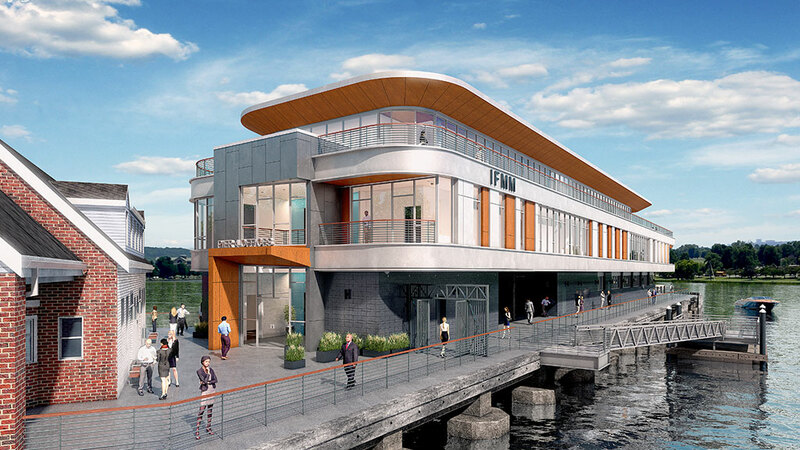 Enjoy beautiful and spacious new offices sitting directly over the water. 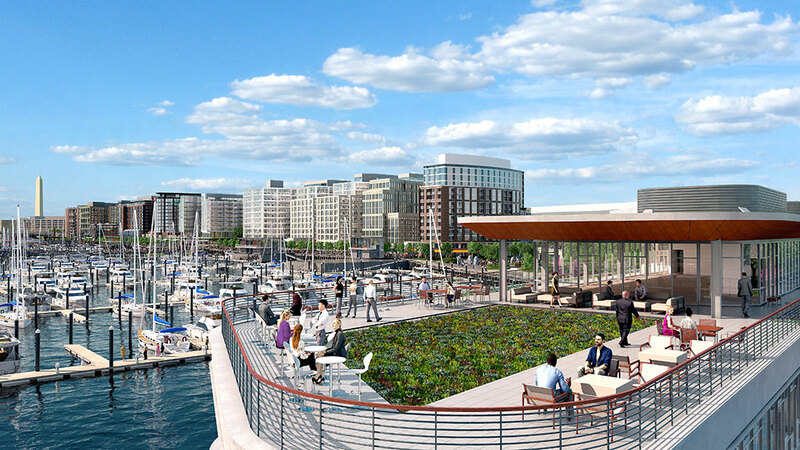 With Pier 4’s delivery in 2017, The Wharf continues to activate Washington DC’s waterfront in ways that had been previously unimagined. 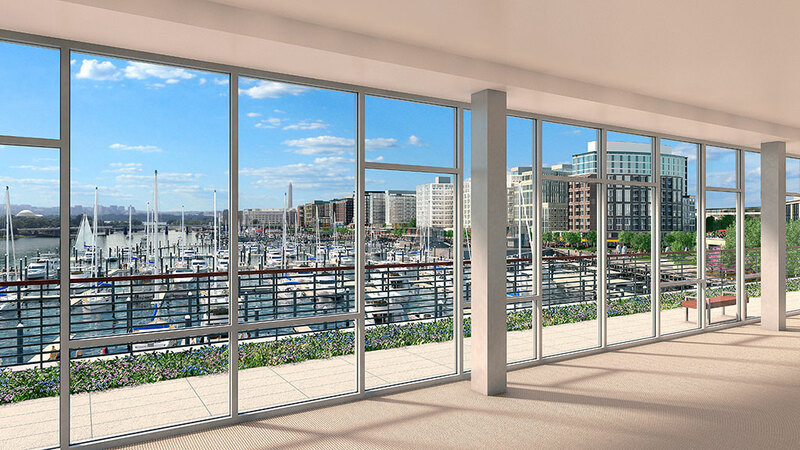 Extending 260 feet into the Potomac River, Pier 4 will offer tenants private terraces with panoramic views of the Washington Channel and nearly the entire length of a bustling Wharf Street. 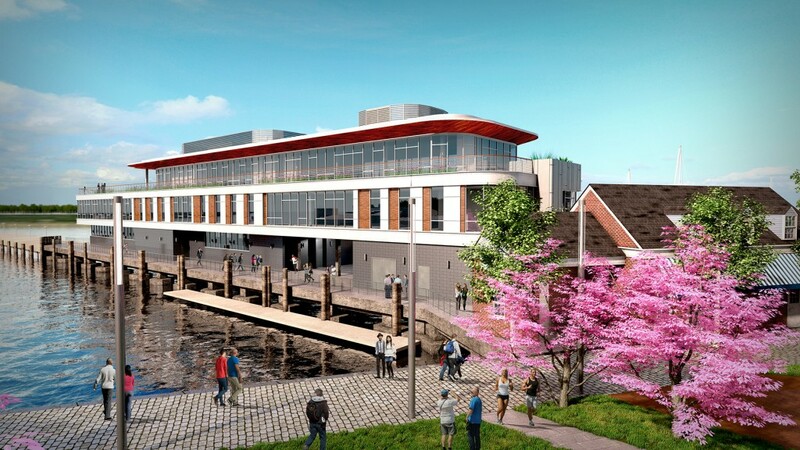 It is adjacent to the new 3.5-acre Waterfront Park. 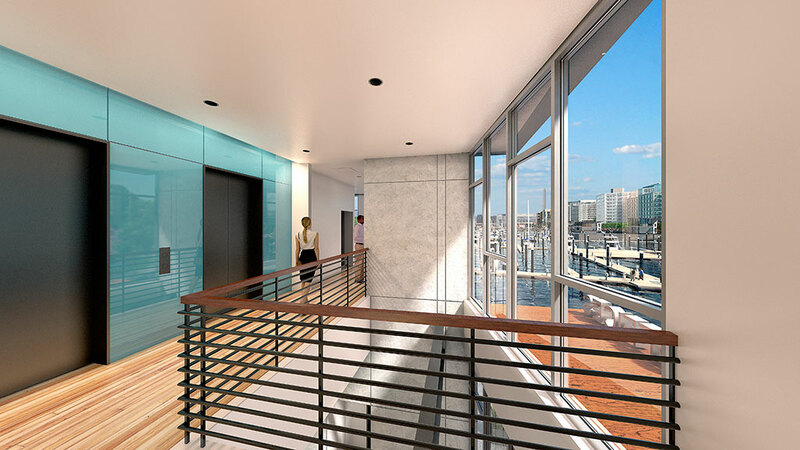 Building amenities include up to 12’ ceiling heights, private covered outdoor terraces, a bike storage room with lockable racks, and a changing room with shower. The lobby’s double-height entry has polished concrete flooring, exposed steel beam architectural component, and a grand natural wood feature wall. 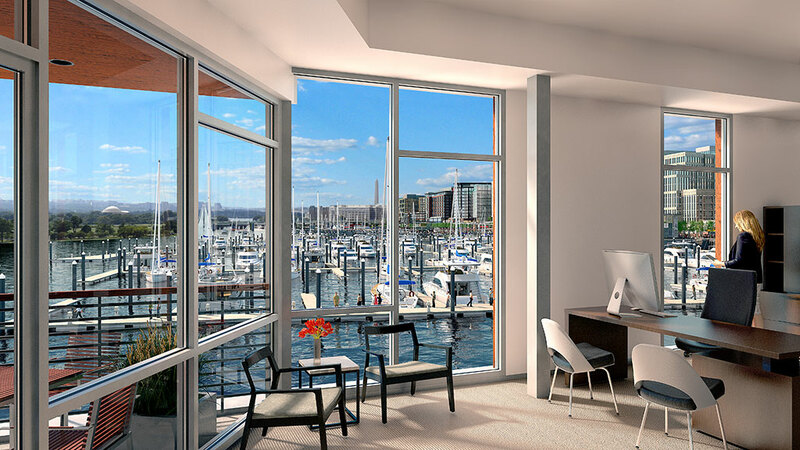 Typical column bays are 20’ by 30’, providing users with spectacular view corridors and natural light. 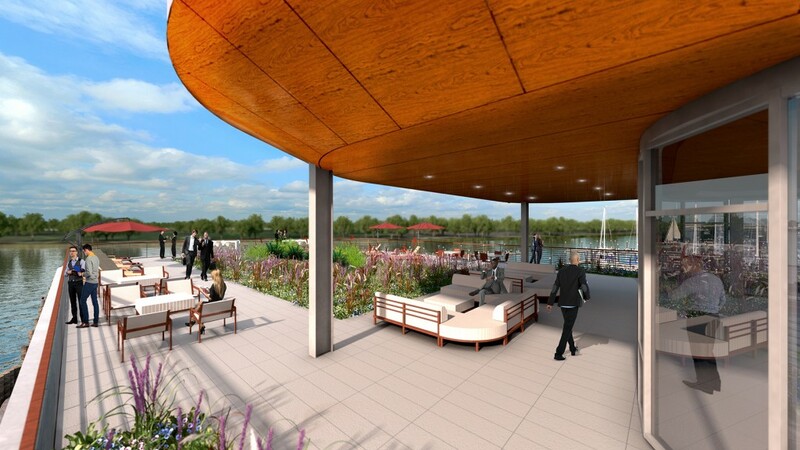 Additionally, the building is designed to LEED® Gold Core and Shell standards. Total building square footage is 28,000 SF.